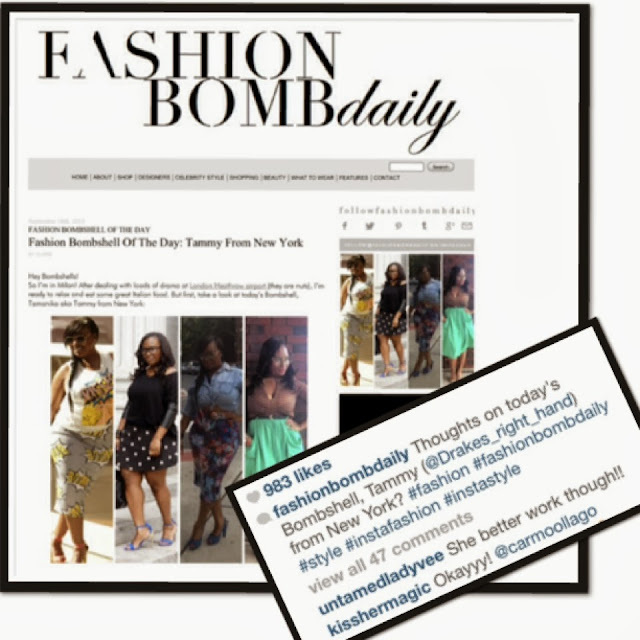 This post is SO late but it's out now... Yours truly, Me has been featured on "The Fashion Bomb Daily". I am so overwelmed with all of the positive feedbacks on IG, FB, Twitter and on the website... We shall NOT talk about the negitives (because there was only a few) but none the less, I am greatful to be feautred. Congratulations Tammy! I am going to have to check out your feature. I am catching up on your post now. Great style!